World Cup Group D Preview - Is it finally the Albiceleste's year? We take an in-depth look at Group D ahead of this summer's World Cup. No surprises here. Finalists last time out, ranked fifth in the world and in possession of one of the all-time greats in Lionel Messi, Argentina will be heavilty back to go through as group winners, but there are a couple of potential banana skins in this one. The 'Albiceleste' may have stumbled across the line in qulifying, requiring some late magic from Messi in the final round of qualifiers to secure a place at the tournament, but the quality in their squad cannot be overlooked and they will be considered among the favourites to win the tournament. With Mauro Icardi, scorer of 29 Serie A goals this season, left at home, the pressure of firing Argentina to glory will fall upon the shoulders of Gonzalo Higuain, Sergio Aguero and as always, Messi. However, a calamitous 6-1 friendly defeat to Spain back in February in Messi's absence has left many people wondering what to expect from Jorge Sampaoli's side this summer, with the experienced boss having only won one of his four games in charge. Whether the rest of the supporting cast are capable to step up and support Messi, or indeed replace him should he miss a game remains to be seen, but with the Barcelona star now 31, this could be his last major tournament at the peak of his powers and he will desperate to earn the major trophy with his national team that his trophy cabinet remains without all these years later. Primed for their first-ever World Cup, the smallest nation to ever qualify for the tournament are likely to enjoy themselves in Russia. Whilst on paper they look the weakest side in a tricky group, they actually finished ahead of Croatian and Turkey in qualifying and infamously stunned England in the Last 16 in Nice at Euro 2016. Heimir Hallgrimsson's side will not roll over for anyone and will scrap until the dying embers of every game and beyond. Qualifying for this tournament was no fluke, but rather a decade of hard work in developing Icelandic football paying dividends. Another thunderclap-powered fairy tale appears unlikely, but stranger things have happened. Many people appear to be tipping Zlatko Dalic's men as a dark horse for this one, with pundits citing an impressive midfield featuring the likes of Ivan Rakitic, Luka Modric and Mateo Kovacic and a frontline of Ivan Perisic and Mario Mandzukic as a solid base from which to build success. However, backers should proceed with caution. Croatia have only won two of their last nine games at the World Cup and have crashed out at the Group Stage the last three times in a row after famously coming third in France in 1998. Whilst they certainly have the players to make an impact, their struggles in qualifying point to something not quite being right. In the end, Dalic's men needed the comfort of the play-offs to secure a place at the tournament, having finished behind Iceland in their group, a repeat of which in Russia would be disastrous. With their talented group not getting any younger, this may be Croatia's last chance to show their undoubted ability. The 'Super Eagles' can compete with any side on their day, as Argentina found out to their detriment in November when they surrendered a 2-0 lead to go down 4-2 to Gernot Rohr's side. 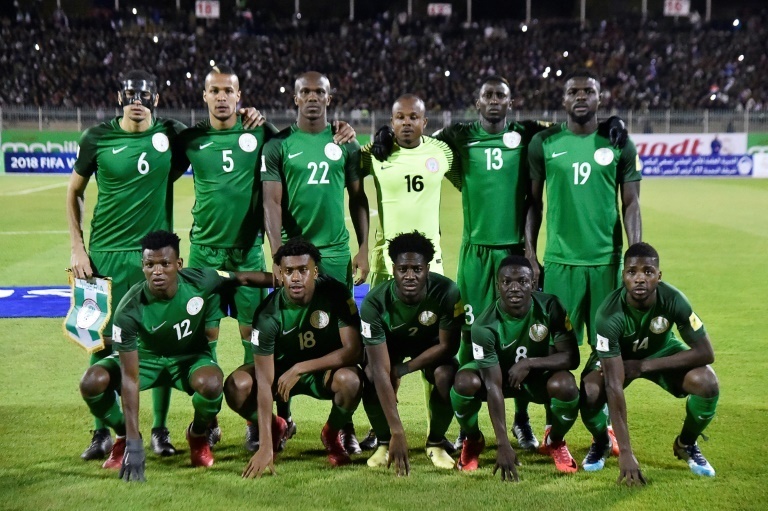 Nigeria cruised to qualification, topping an African qualifying group that contained reigning continental champions Cameroon, former champs Zambia and Riyad Mahrez's Algeria to become the first African team to qualify for Russia. They have never progressed beyond the last 16, but with this their fifth World Cup out fo sixth, they will be hoping to see signs of progress. Premier League stars Wilfred Ndidi, Kelechi Iheanacho and Alex Iwobi are likely to be key to their cause as they look to prove that their ranking as the 48th best team in the world is doing them a disservice.